Netflix is planning to adapt Nidhi Chanani’s bestselling graphic novel “Pashmina” into an original computer-animated musical, Deadline Hollywood reports. 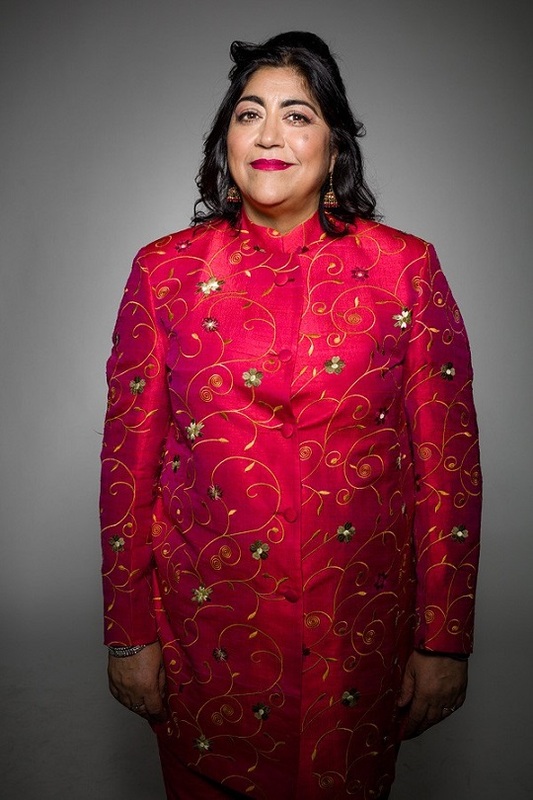 Netflix has teamed with “Bend It Like Beckham” helmer Gurinder Chadha, along with producer and Hyde Park Entertainment principal Ashok Amritraj and Chadha’s long-standing writing partner Paul Mayeda Berges. “Pashmina” is a fantasy-adventure story that follows Priyanka, a first-generation American of Indian descent, as she explores her family history with the help of a magical pashmina. “When our hero, Priyanka, puts on the magical pashmina for the first time and is transported to the India of her dreams, that’s when the fun, the magic, the song and the dancing really come to life!” Chadha said. Nidhi Chanani’s debut graphic novel by the same name has been lauded for its portrayal of Indian culture and feminism. It was an Amazon’s Top Twenty Children’s Book of the Year, Northern California Indie Bookseller Association Long-List Title and A Junior Library Guild Selection. “’Pashmina’ is a wonderful coming-of-age story that will resonate with anyone who has ever felt like an outsider, and one that I believe Netflix families around the world will enjoy experiencing together,” Amritraj said. “Pashmina” will be produced by Amritraj’s Hyde Park together with Chadha’s Bend It Films. Jon Levin of Fourward will serve as executive producer, along with Hyde Park’s Priya Amritraj and Addison Mehr as well as Paul Mayeda Berges and Nidhi Chanani. “Pashmina” is the latest ambitious animated film for Netflix, which is releasing Juan Antin’s CG-animated feature film “Pachamama” in June and Sergio Pablos’ 2D-animated feature film “Klaus” in November. It’s also the latest high-profile project for Chadha: The “Bend It Like Beckham” helmer’s Bruce Springsteen-infused coming-of-age film “Blinded By the Light” was a Sundance Film Festival favorite that earned a $15 million New Line deal, according to Deadline.